The following list has been compiled and ranked using a the numerous best spider-man stories lists out in there in the World Wide Web. Lists from publications (such as Wizard) have a stronger weighting than list from users on message, though both counted. While many stories deserved to be on this list, it was best to cut it at 25, as the frequency of the storylines being mentioned is greatly reduced after that point. For a longer list, all of the ” Best Spider-Man Stories ” referenced in our list and more can found in our Chronological Spider-Man Reading List just by searching for Best!. Alternatively, you can find many of the Best Spider-Man stories in the Essential line of trade paperbacks. Now, on to the best spider-man stories list! Always overshadowed by the following death of his daughter Gwen Stacy years later, the death of Captain Stacy remains an important event in the the life of Peter Parker. His last word alone make this one of the Best Spider-Man stories ever. This graphic novel retells key moments of Mary Jane and Peter’s relationship through her eyes, all the while employing a classic art reminiscent of the era the stories are based in. In this anniversary issue, Peter Parker confronts the burglar who killed Uncle Ben once again. Just as Spider-Man and the Black Cat have the chance to have a relationship, they get tangled up in a gang war that leads to Felicia getting beaten within an inch of her life by Doc Ock. As he attempts to finish the job by attacking her in her hospital room, Spider-Man arrives, leading up to one of their all-time greatest battles. The final issue also features one of my all-time favorite Spider-Man covers. This one-shot is essential reading outside of the core titles published at the time, as it featured the death of Ned Leeds, who was immediately after outed as the Hobgoblin. 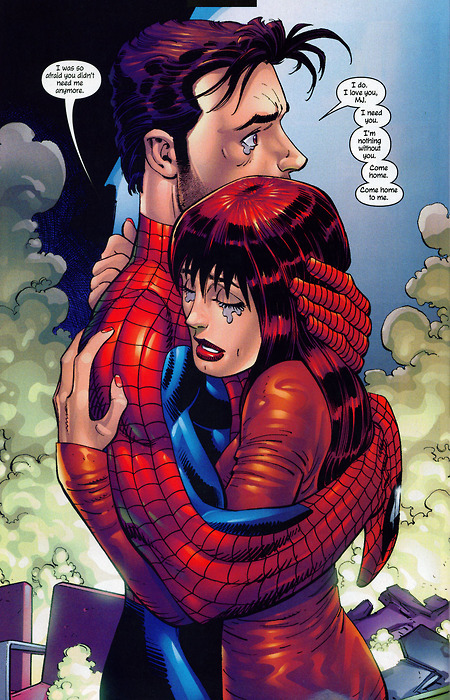 This story features the reunion of Peter and Mary Jane after a period of seperation. The story is at times deep, but also lighthearted, as any Spider-Man story should be. The “Couple” discussion is as real as any seen comics, continuing relentlessly during the pauses between battles, and features the duo ironing out the details of what every secret-identity-superhero-as-husband-couple should. 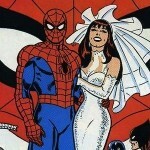 Next up is another Peter Parker / Mary Jane classic: The Wedding. While getting Peter and Mary Jane married in the comics was rushed, as it was to coincide with the events in the comic strip, it did help condense the story into four very interesting issues. It begins with Peter proposing to MJ a second time, her going on a soul searching trip back home only to accept in the next 2 issues and married in the following annual. While it would have been nice to get a few years of “engagement” era stories, it makes for a nice condensed read. 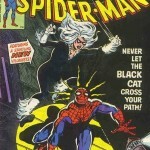 The first few appearances of the Black Cat tended to play to a certain structure in that at the end of the two-issue arc, she would apparently die, playing off the narrative of having “9 lives”. This structure didn’t last all of the 9 lives, however, as Felicia became a more permanent character when she returned a fourth time, at which point readers stopped counting her “lives”. Still, the first three appearances along this structure are some of the best Spider-Man stories out there. The first two parts are brought to you by Wolfman and Pollard, while the 3rd is brought to you by the classic Stern and Romita Jr.
J. Michael Straczynski’s inaugural run on the Amazing spider-Man was for many a hit, contributing some fresh stories all the while bringing the comedy back to Spider-Man. The introduction of Ezekiel truly shakes up the Webhead’s mythos. These issues are great (as well as the following issues that include a 9/11 tribute and Aunt May discovering Peter is Spider-Man). While the Ben Reilly Clone Saga has many detractors, many parts of this storyline were penned by J.M. DeMatteis whose runs on Spectacular and Amazing are among the best Spider-Man stories ever. Even the second clone saga can’t drag down his stories, as we find one of the best spider-man stories among some of its worse. This particular issue which features the Death of Aunt May carries so much emotion, as well as great art by Mark Bagley. We again skirt around the Ben Reilly Clone Saga, as the original clone saga comes in next at number 15. It starts with a slow boil, with the lid blowing off with the appearance of Gwen Stacy’s clone in Amazing Spider-Man #144. The second clone saga’s many downfalls, such as it’s length and the fact that its outcome was to remove Peter from the comics, aren’t present here, making it much more classic. 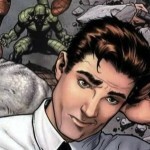 The next batch of storylines see more or less the same frequency among the many lists of best Spider-man stories of all time. They represent a second tier of best Spider-Man stories, only to be topped by the universal praise the top 3 receive. When the Green Goblin first appeared, he seemed a long way from becoming Spider-Man ultimate nemesis, leaving mostly Doc Ock to occupy that position. Yet, with each appearance, the Green Goblin quickly built up the elements to make him Spider-Man’s ultimate enemy. In one of the best Spider-Man stories, Peter is unmasked by the Green Goblin, only to be followed by the unmasking of the Green Goblin. Having both know each others secret identity becomes an important dynamic that lasted decades. Mark Milar’s run on Marvel Knights Spider-Man is in ways the ultimate Spider-Man story: it features most of the major villains (Green Goblin, Venom, Electro), plays to the most popular Spider-Man tropes (Aunt May is kidnapped, Mob wars) yet presents it in a fresh, edgy twelve-issue run. Not to mention the spectacular Terry Dodson art. All these things make this run one of the best Spider-Man stories of the modern era. Featuring one of the most iconic Spider-Man covers and part of the basis of the Spider-Man 2 movie, this story features an eventually recurring aspect of Spider-Man: will he be better off if he just quit being Spider-Man? “With great power comes great responsibility” resonates strongly enough to always have him come back, but still makes this issue one of the best spider-man stories ever. While not universally acclaimed, Venom stories where some of the fan’s favorites and reinvigorated Spider-Man titles for years to come. 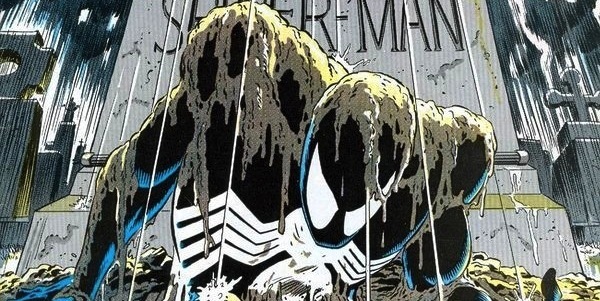 Their popularity is reflected in this strong ranking among the best spider-man stories for Venom’s first appearance. Much like Mark Millar’s run on Marvel Knights, Spider-Man Blue is another modern favorite and also features a large cast of well known villains. One of the few modern issues that was able to replicate the feeling of the Steve Ditko and Stan Lee stories. J.M. DeMatteis had a few of the great Spider-Man runs, as noted by having most of his runs appear very high in this list. During his original stint on Spectacular Spider-Man, he brought up the quality of the book to the point that it surpassed Amazing Spider-Man. His long simmering Harry Osborn storyline culminating in his death is one of the best Spider-Man stories (as well as personally one of my favorites). His storytelling is aided with classic Sal Buscema art, and even great lettering (using distinct fonts for each main character). How could Spider-Man’s fantastic origin not be part of a best Spider-Man stories list? No-brainer. Roger Stern’s introduction of the Hobgoblin injected a new life into the Amazing Spider-Man title, adding an ongoing mystery which gave that entire Spider-Man era its own unique feel. Each issue continuously builds on the mysterious identity of the Hobgoblin. Is it Flash Thompson? Ned Leeds? As you will see, Stern, though not as prolific on Spider-Man as many other writers, penned many of the best Spider-Man stories ever. Check out his three main Hobgoblin arcs which can also be followed by DeFalco’s Hobgoblin run. Another Roger Stern storyline makes it to the top 10 best Spider-Man stories ever. This one is the even more highly praised “Nothing Stops the Juggernaut”. It is, quite frankly, just plain fun. Many have tried to replicate it, but nothing beats this story featuring a kid in a hospital who meets his idol, Spider-Man, who in turn reveals his identity to him, knowing the kid is close to death. This touching story is so powerful, it is one of the best Spider-Man stories ever while only running for half an issue. We can’t go any further down this list without adding more classic Stan Lee and Steve Ditko issues. 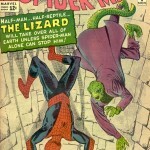 “If This Be My Destiny” is probably the best silver age comic book run ever, featuring classic Spider-Man storytelling. Not only does it feature classic Peter Parker teenage angst, despair with Aunt May seemingly on her deathbed, but it also features the introduction of none other than Gwen Stacy and Harry Osborn (oh, and Professor Miles Warren). It also has one the best Spider-Man panels of all time (Spider-Man lifting the heavy machinery that toppled over him). The final top 3 best Spider-Man stories are unique in that they receive near universal praise. Not only do they appear on nearly everyone’s list, they also tend to appear among the top positions. Peter David cemented his place in Spider-Man Hall of Fame early with this gem, The Death of Jean DeWolff. The mystery of the Sin-Eater, the great suspense as well as the moral issues raised easily makes this one of best Spider-Man stories of all time. One of J.M. DeMatteis’ earlier Spider-Man works is also considered his best. The best Spider-Man stories contain consistent art and a strong emotional component, of which this excels at. While it didn’t make the top spot, it does appear on many list of best Spider-Man stories ever. The best of the best Spider-Man stories is none other than the death of Gwen Stacy. The implications of her death run deep, as this night is continually referenced, to point where most new Spider-Man readers from the 1980’s onward could know almost everything about that fateful issue without ever having read it. Yet, it should be read, as not only are the consequences large, but the writing and art is spectacular, justifying its place atop the list of best Spider-Man stories of all time. While this list focuses on the main Spider-Man cannon, there are other versions which deserve praise and considered among the best Spider-Man stories, and the most cited among these is Ultimate Spider-Man by Brian Michael Bendis and Mark Bagley. Their second arc, Learning Curve, is probably the best effort at rebooting Spider-Man, making him modern while all the while conserving and the tone set in those early issues of Amazing Spider-Man written by Stan Lee. It’s so good, it’s great. And that’s why it deserves a mention among the best Spider-Man stories of all time. Tell us your top 25 best Spider-Man stories in the comments! Top 25 Spider-Man Stories – Your Turn to Vote! Great list, but I feel like back in black should have been there. If this list tries to serve as a recommendation, if fails miserably due to blatant spoilers. In any case, an “spoiler alert” would show some respect for the readers.